0.29 mi🥘Mathew Kenney's Vegan Pizzeria 00 + Co.
NoHo, short for “North of Houston Street,” might have a less recognizable name than its sister district SoHo, but has a solid reputation as an up-and-coming area to rent office space. NoHo is a primarily residential and upper-class neighborhood contained on six blocks between Broadway and Bowery. 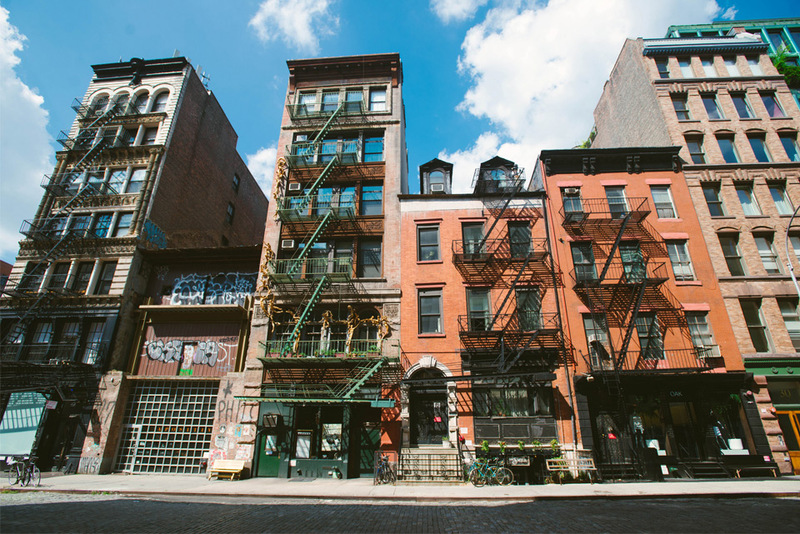 Despite its small area and population, NoHo is home to Cooper Union College; the Public, Astor Place, Lynn Redgrave, and Gene Frankel Theaters; and hundreds of restaurants (our team loves Mile End Delicatessen, McSorley’s, Ippudo, Gasoline Alley Coffee, Village Yokocho, Taco Box, and Ramen Misoya). 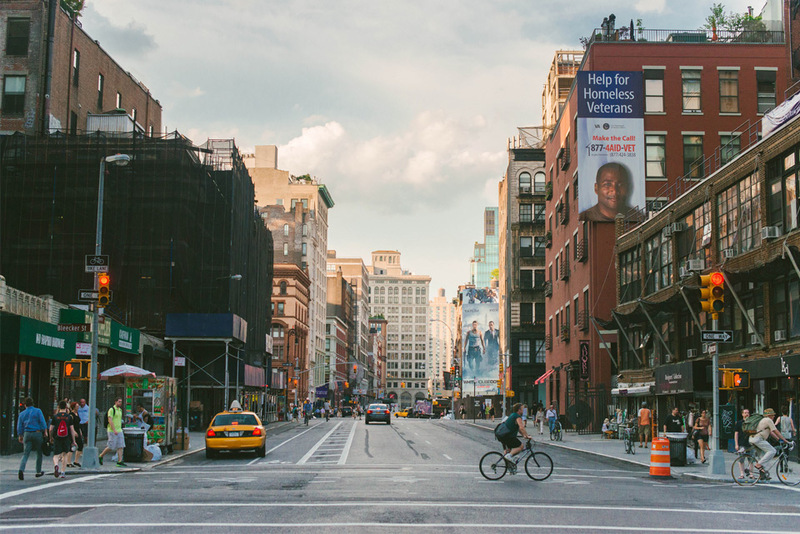 There’s more than enough to discover and stay entertained, and its proximity to other downtown neighborhoods like the Lower East Side, Nolita, Little Italy, and East Village make it convenient to get around Manhattan. 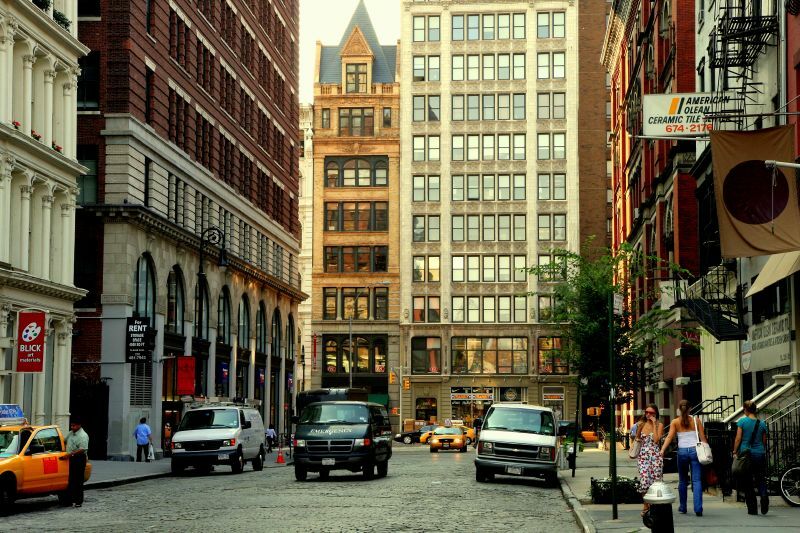 The average NoHo office rents for $77 per square foot, right in line with the Midtown Manhattan average rent. However, companies looking to rent space in a Class A building should expect asking prices of around $115 per square foot, among the most expensive in the city. This is largely due to the extremely low vacancy rates (less than 4%) and limited total inventory. Construction of new buildings is slowing down as most areas in the 20-block neighborhood have already seen new developments or restorations. Most new construction in the area, in particular along Great Jones Street, is of condominiums and other residential buildings. NoHo’s central location, loft apartments, and small size make it a desirable neighborhood to work. There is high demand for space, and prices have risen to meet it. But NoHo continues to offer relatively low prices for commercial tenants, and remains an excellent alternative for those who want to pay less but still have plenty of transportation and food options. Facebook increased office space at 770 Broadway by 78,000 square feet, taking over the entire third floor for a new total of 513,000 square feet in the building. Facebook has been steadily increasing their square footage in the building since 2013. Verizon’s subsidiary Oath also has office space in 770 Broadway. IBM, Spark Capital, Lululemon Lab and Meetup also call NoHo home. Direct marketing startup PebblePost will be one of the newest additions to the area, having acquired 20,000 square feet recently at an estimated $75 per square foot, and will share a building with SeatGeek. Throughout the 19th century, NoHo was home to wealthy families and quickly became a fashionable and architecturally diverse district. 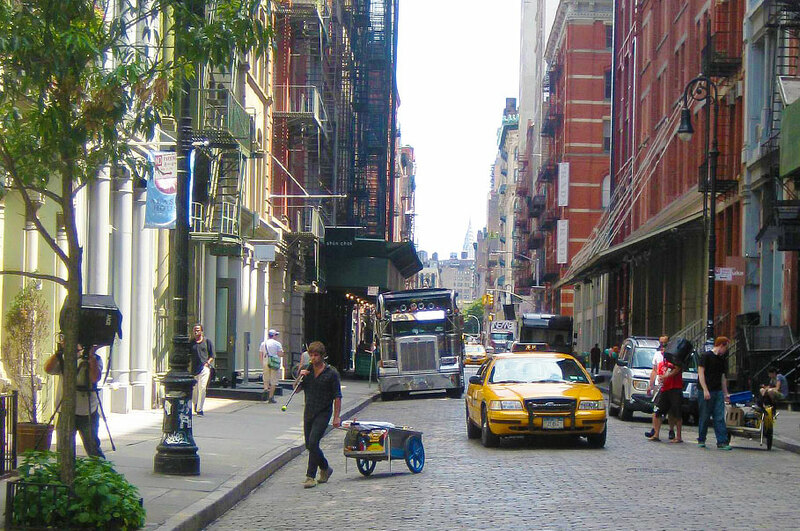 Terracotta and brick loft buildings live alongside marble, limestone, and cast iron, creating NoHo’s eclectic streetscape. NoHo encompasses around 125 buildings, most of which fall under the NoHo Historic District and NoHo East Historic District, dedicated in 2003. Notable landmarks include Colonnade Row, Fire Engine Company No.33, Merchant’s House Museum, and Astor Library. Institutional, office, and commercial structures went up as NoHo transitioned in and out of industry in the 1900s. By the 1960s, more artists lived and worked out of these spaces than businesses, including Andy Warhol, Jean-Michael Basquiat, and Robert Mapplethorpe. Art and restoration were vital in reenergizing NoHo into the chic and offbeat neighborhood it is today, with a broad roster of live music, theater, trendy bars, record stores, and popular bistros to keep the locals busy. Due to its small size, WalkScore ranks NoHo as the 2nd most walkable neighborhood in New York City, and can be traversed from one end to the other in under 15 minutes. Employees who commute to the area by car will find parking garages to be reasonably accessible. Eight train lines pass through and provide transfers to Union Square station and other main transit points. The 6 stops at both Astor Place and Bleecker Street, and the N and R stop at the Eighth Street-NYU Station. The Broadway-Lafayette stop connects to Bleecker Street and the B, D, F and M trains. Nearby Districts Include: Union Square, Greenwich Village, the East Village, Little Italy, and SoHo.